A verse by Dirk R. Camphuyzen inscribed on the house at Rijnsburg in which Spinoza lived between 1660 and 1662. From Macy’s essay on Maurice Maeterlinck, the latter a writer I know little of beyond his being held in high esteem by Miriam Henderson, Dorothy Richardson’s protagonist in Pilgrimage. Pilgrimage continues to enchant to the point that I cannot imagine reading another work of fiction with quite the same degree of pleasure and absorption. I’m taking my time with Pilgrimage, feeling no inclination to finish, but also allowing myself to drift into sampling Maeterlinck—whose essays I like very much—Spinoza, and Emerson, writers Richardson alludes to directly or indirectly in Pilgrimage. Since I was seventeen I’ve read Nietzsche. I can no longer recall what I read first, probably the yellowing Thus Spake Zarathustra, annotated in two different pens, that still sits on my bookshelf. Nietzsche understands teenagers. He speaks to their complexity and anguish, and they approve of his desire to shatter the tenets of their culture. Nietzsche faced down the nihilism of his age with style, humour and strength. Though Nietzsche’s thinking only partially penetrated my younger self, he left me fortified with the necessity of going deeply into myself to fully experience life. Over the years I read all of Nietzsche’s published books, though undoubtedly in less reliable translations and editions than are now starting to become available. Nietzsche’s aphoristic style lends itself to dipping into a few lines. Though this achieves little, it is a thought-provoking compass for how one has changed during all the years of reading the same lines. My reading of Nietzsche is changed with all the later reading and thinking I’ve done. The result is less a solution of the initial problem than a realisation of its limitations: typically the problem is not solved but ‘outgrown’. Though first published in 1950, Kaufmann’s interpretations are an inspiration for more contemporary readings of Nietzsche, one of which I also wish to read is Alexander Nehamas’ NIETZSCHE Life as Literature (1985). If you know of other Nietzsche secondary literature (not biography) worth reading please let me know. Coming across Clément Rosset’s work is akin to discovering a close new friend in adulthood; Rosset is an ally to add to that small list of thinkers, philosophers, writers (call them what you will) that do not feel the need to contest, mask or avoid reality, but from time to time stare at it for moments at a time with curiosity and terror. 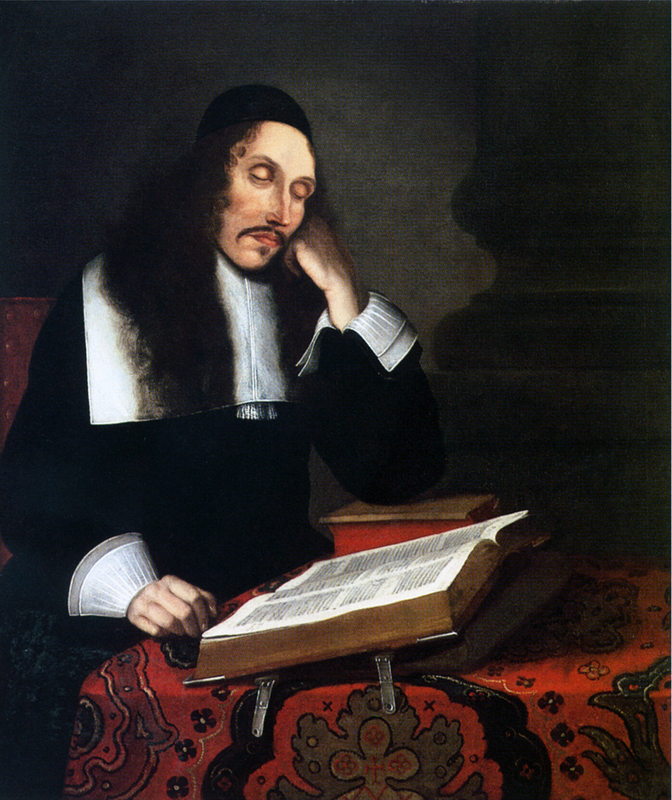 Spinoza’s mother tongue was Spanish; he was a master of Hebrew and had an effective command of Portuguese and Dutch – perhaps also of French. However, none of those languages contained the wealth of scientific and philosophical argument that was contained in Latin, which language therefore became, for Spinoza, both the primary vehicle of his thought, and the symbol of his intellectual quest. In choosing the universal language of our culture, Spinoza wrote the last indisputable Latin masterpiece, and one in which the refined conceptions of medieval philosophy are finally turned against themselves and destroyed entirely. He chose a single word from that language for his device: caute — `be cautious’ – inscribed beneath a rose, the symbol of secrecy. For having chosen to write in a language that was so widely intelligible, he was compelled to hide what he had written. Deleuze is difficult, but I read his work like opaque poetry. There are good maps available for those who want to engage in what Deleuze called the “nonphilosophical understanding of philosophy.” I don’t read to understand, but understanding comes in the same rushes of lucidity that is common with enigmatic or oracular poetry. [..] one doesn’t have to follow up every proposition, make every connection-the intuitive or affective reading may be more practical anyway. What if one accepted the invitation-come as you are-and read with a different attitude, which might be more like the way one attends to poetry? Then difficulty would not prevent the flashes of understanding that we anticipate in the poets that we love, difficult thought they may be. The truly extraordinary thing about Deleuze is precisely the quality of love that his philosophy expresses; it is active in everything he has written. This quality of love is also precisely what compels me about Spinoza’s philosophy.